Taking out a loan to pay off your credit cards will allow you to streamline repayment efforts by merging all your outstanding balances into a single account. You could also save a bundle on interest. There are a few options to consider. For consolidating credit card debt, according to Student Loan Hero, "personal loans will carry the biggest benefit if you're currently paying high interest rates on scattered accounts." Simply put by paying off your credit cards with a personal loan, you can streamline all your balances into a single product with a lower interest rate and only remit one payment each month (assuming the loan is large enough). Debt consolidation loan: A type of personal loan that behaves in the same manner as a secured or unsecured personal loan, but can be used only to settle outstanding debts (For this type of loan, the Consumer Financial Protection Bureau (CFPB) recommends that you read the fine print to ensure that hidden fees or costs do not accompany the loan). Loan amounts typically range from $1,000 to $35,000, according to Bankrate. You will have to pay interest on the loan. The rate is determined by your creditworthiness, but it may be much lower than what you're paying in APR on your credit card. You may need a cosigner if you have less than perfect credit, or only qualify for a secured personal loan. Exact figures vary by financial institution, though industry averages can be used to get a general idea of interest rates for personal loans. According to NCUA.gov, the average interest rate for an unsecured, fixed-rate 36-month loan is 9.22 for credit unions and 10.12 for banks across the nation (as of October 2016). NerdWallet estimates that personal loan rates range between 10.94 and 28.64 percent, depending on the borrower's creditworthiness and the loan amount. Personal loans with variable interest rates may be available from some lenders. Personal loans are offered by most credit unions and banks around the nation. Check with lenders in your local area to inquire about personal loan products that may be available to you. To learn about their specific offerings, call their toll-free number or visit a physical branch. UpStart is an online platform that offers personal loans with an APR starting at 13.75 percent. UpStart loans are ideal for consumers with minimal credit history. The company is mentioned as one the top personal loan providers by NerdWallet. Lending Club is an online platform that offers personal loans with an APR starting at 14.75, and comes with more lenient credit terms to qualify. The Simple Dollar cites Lending Club as one of the best unsecured loan providers on the market. Unfortunately, you may not qualify for a personal loan if you have less than perfect credit. If you do qualify, the interest rate may be higher than what you're already paying on your credit cards, which would defeat the purpose. If you have an IRA or 401(k), you may want to consider borrowing your own retirement funds as a way to get out of credit card debt. Forbes recommends using retirement funds as a good way to pay off credit cards, but only "if it's part of a long-term plan to get and stay out of debt." Whether you can borrow enough to pay off your credit cards depends on how much you owe and how much money is in your retirement account. 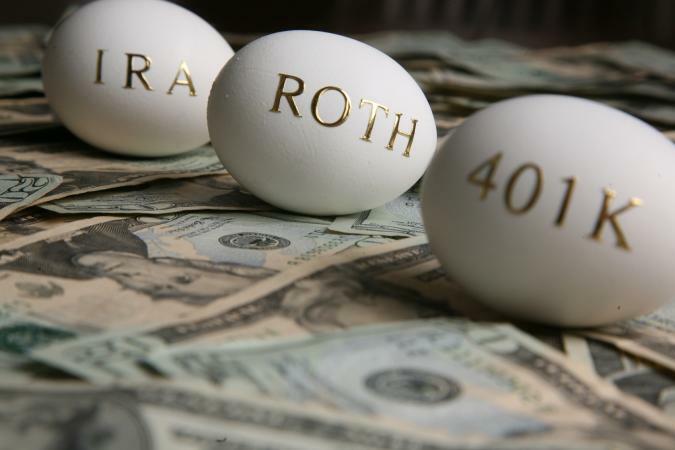 According to IRS.gov, the maximum loan that can be taken from a qualified retirement plan is the lesser of 50 percent of the vested account balance or $50,000. Unfortunately, interest and fees will apply when you borrow funds from your retirement account and you will be taxed on the funds received. Additionally, in the event you're unable to pay back the loan in full, an early withdrawal fee of ten percent will be assessed. In most instances, it doesn't take much effort to request a loan from your retirement account. All you have to do is reach out to your plan administrator. He or she will generally send or direct you to the applicable forms to get the process going. Once the request is processed, the funds will either be deposited into your account or you'll receive a check in the mail. It's important to consider the loan-term implications of borrowing against your retirement account, as borrowing these funds prevents you from deriving the maximum benefit of compounding interest. Taking an early withdrawal (instead of a loan) would be even worse, since you would be compromising your nest egg (or future well-being) for the short-term benefit of playing off your credit cards. You may have considered taking out a home equity loan or home equity line of credit (HELOC) to pay off your credit cards, but this is definitely not one of the best options for paying off credit card balances. If you fail to make timely payments on the outstanding balance of this kind of loan, you could lose your home since it's being used as collateral. "If you have equity, you don't want to push yourself too close to 100% loan-to-value [because] you're endangering your home," notes Bankrate. 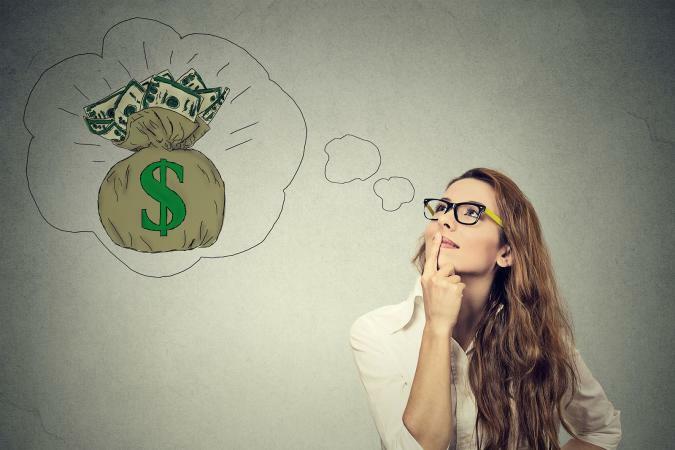 When deciding on the best loan to pay off credit cards, conduct a cost-benefit analysis to determine if the loan options on the table are actually worthwhile. Otherwise, you could end up spending a bundle in interest to eliminate the outstanding balances.